Even though bars have outlawed cigar-smoking and Bengal-tiger rugs, you can still set the tone for a proper winter whiskey with the aide of a roaring fire. 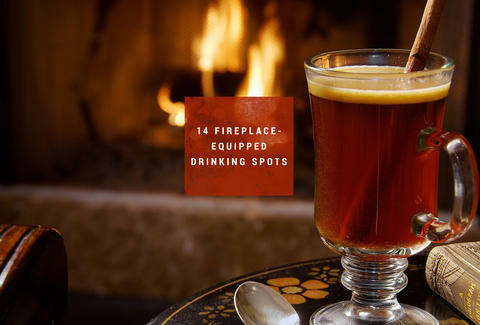 These 14 fireplace-equipped drinkeries in Philly, arranged by neighborhood, are here to put the fire back in your belly. This bar/kitchen/living room is the perfect spot to get cozy by the fire with cushy seating and a menu of comforting pub fare. 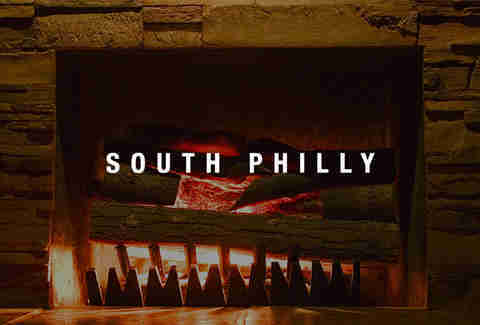 The South Philly spot emphasizes craft beer (17 rotating drafts and 200 bottles), but it wouldn’t be a den fit for the devil without a fire to complete the cabin-inspired interior of the space. Face facts: XIX (Nineteen for non-Romans) is amazing any time of year, whether you’re taking in the salty air on the roof deck in the summer or landing one the of the cushy fireside chairs in the winter. 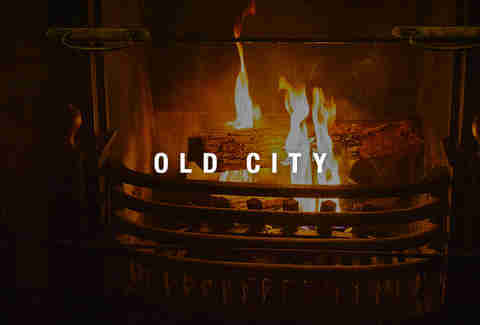 Curl up with an Old Fashioned and your cowl-neck sweater. You have a few solid seating options at The Dandelion, but when it’s winter your best decision is to score some comfy real estate by the fireplace at the English pub. One of Philly’s oldest bars is always packed for a reason, and it might have a bit to do with everyone’s dire need to find a table near the fireplace, especially when the bar is decked out in cozy winter decor. Head upstairs in this barbecue-heavy Rittenhouse joint to warm up. Though the pub-restaurant tends to draw crowds and longish waits on the weekend, wait it out for that prime fireside spot. Ice skating is fun and all, but when you head to Penn’s Landing your top priority should be to find a spot by the fire to enjoy your craft beer and Garces eats. The Lodge at Penn’s Landing has all the makings for fireside magic, no figure eights required. Sassafras is already cozy with selective seating at the bar and tables throughout, but the Old City spot kicks it up a notch with a crowd-pleasing hearth opposite the tables. 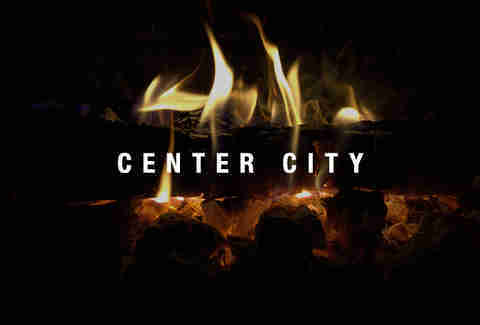 Aside from being one of the most haunted places in Philly, City Tavern also rocks the fireside hearth like none other, taking inspiration from the old-school taverns where our Founding Fathers used to get sloshed. You won’t be taking off your coat at this beer garden anytime soon, but you can warm up by the fire pits that populate the outdoor area -- and if you’re still not warm enough, there’s always that beer menu. This NoLibs whiskey bar plays up the ambience with a nod to the shuttered Liberties pub that formerly inhabited the space by keeping the original wood-carved fireplace past the bar. 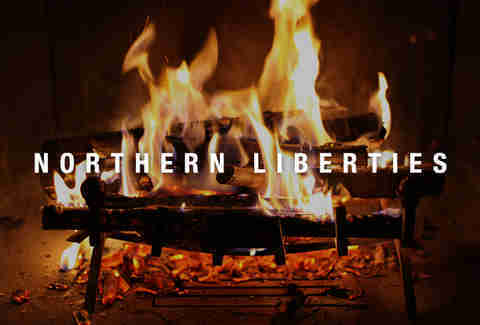 You may not want to spend much time on the deck at everyone’s favorite NoLibs beer bar for a few months, but that just means you can spend more time by the fire and taking in all of Philly’s phinest clientele. The seasonal restaurant and bar is extra-swanky this time of year, with fireside corners where you can drink that winter cocktail and enjoy the full ambience. 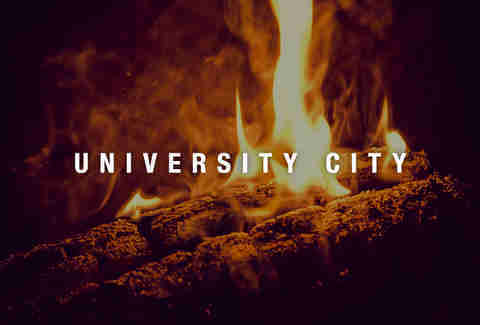 The UCity favorite has an outdoor deck that stays open all year, which can be frightening, but if you head out there with the appropriate brew and prime fireside seating, it’ll be… moderately less frightening. Just stay bundled.